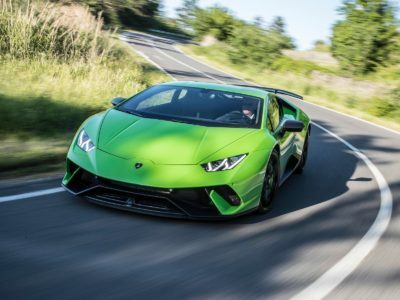 We all know that Lamborghini makes some very exotic and fast sports car like Huracán, Aventador and the recently launched SUV Urus! 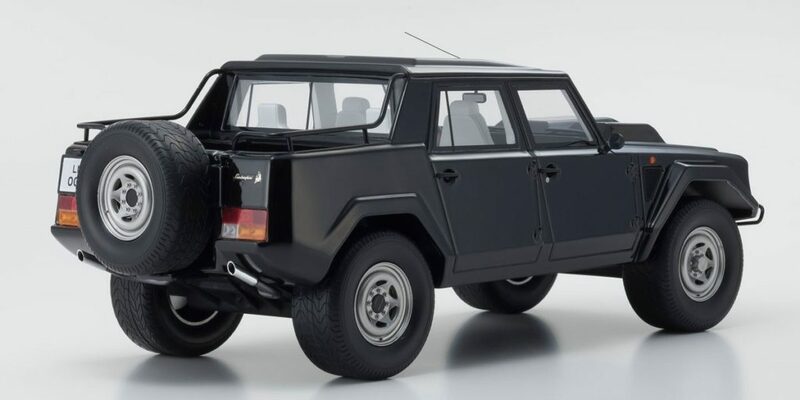 But a true blue Lamborghini aficionado knows that the Urus is not their first SUV but second, the first is a Lamborghini LM002. 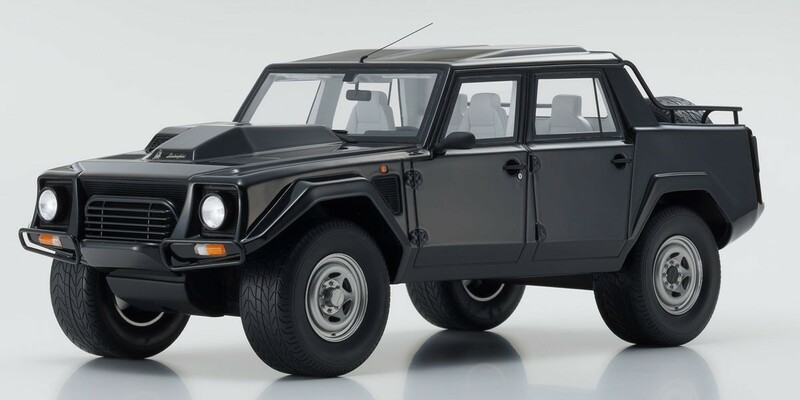 I being a Lamborghini scale model collector, always wanted this Lamborghini LM002 in 1:18 scale and the options are very less till now! But all of that is about to change with this great news from Kyosho’s Model cars stables! Kyosho made some very details diecast models in the past and few years back they got into fully sealed resin scale models in multiple scales! This Lamborghini LM002 comes with exceptional details that are the hallmark of Kyosho pulled from their diecast experience! 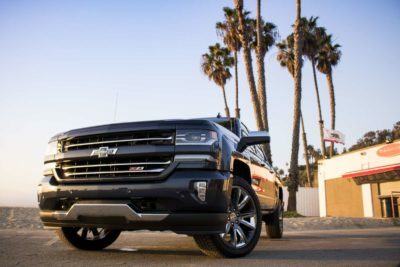 The headlamp optics are finely detailed along with the mesh grill details elevate the owning experience. 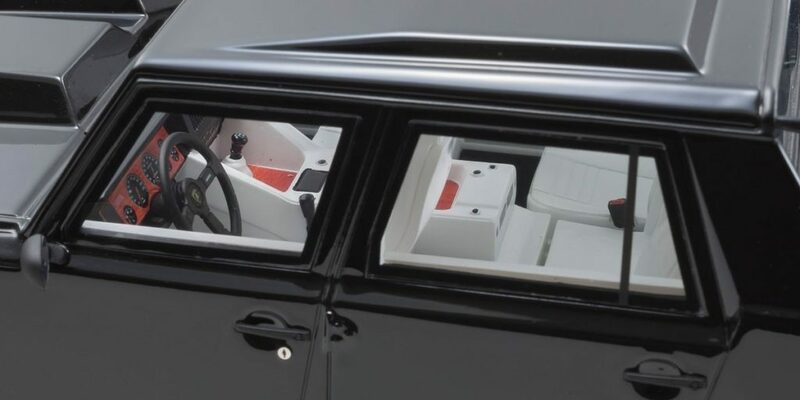 Though the model is a fully sealed, Kyosho put in a lot of interesting details like the wooden trim and leather upholstery details. Even the seat belt lauch is as good as it get so as the meter dials! On the outside the key hole surround is a nice touch and adds a bit fine details. 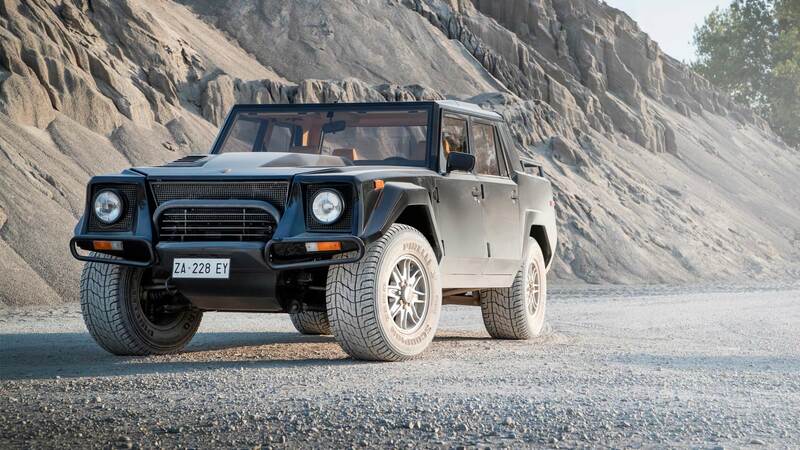 This Lamborghini LM002 is done with a lot of passion and love. 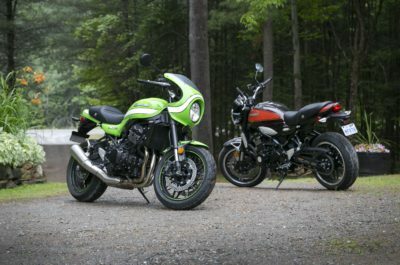 The chrome tipped exhaust adds a bit of interest on the otherwise boring rear. As per Kyosho’s official website this Lamborghini LM002 should reach toy/hobby store by December 2018 right on time for Christmas! The price is expected around USD 170/- and there is no words on number it is limited to. 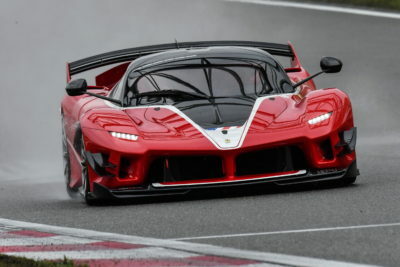 Hope you have some idea on what to look for this Christmas season as gift, till next time… Ciao.